Tonto Dikeh, popular Nollywood actress who has a son, King Andrea with her ex husband Oladunni churchill took to Instagram to celebrate him as he turns 20 months. 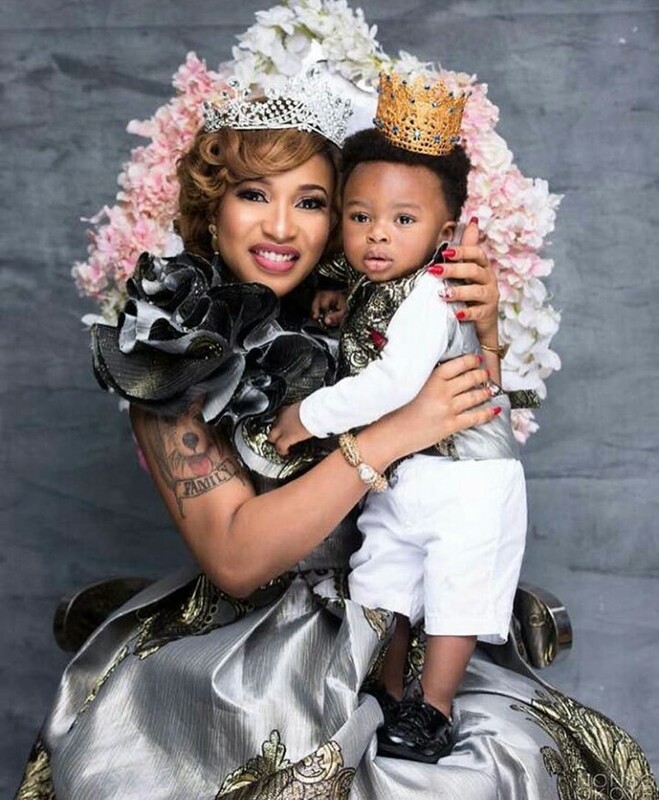 Tonto Dikeh took to social media to celebrate her son,King who turned 20 months today. King you are my miracle,my jewel,my love,my everything..
Am dangerously selfishly in love with you..
You are a blessing to your generation,You are a light to this world!!! Keep been super amazing Son!! !